Փիղ մարդը (Elephant Man) 1980 թ.
Կապույտ թավիշ (Blue Velvet) 1986 թ.
Սրտով վայրենիները (Wild at Heart) 1990 թ.
Թվին Փիքս (Twin Peaks) 1992 թ.
Ոչ մի տեղ չտանող խճուղին (Lost highway) 1997 թ.
Մալհոլանդ Դրայվ (Mulholand Drive) 2001 թ.
Ներքին կայսրություն (Inland Empire) 2007 թ. ↑ German National Library, Berlin State Library, Bavarian State Library et al. Record #119035316 // Gemeinsame Normdatei — 2012—2016. ↑ Lynch and Rodley 2005. p. 245. ↑ Slavoj Žižek. Organs without Bodies. ISBN 978-0-415-96921-5. Page 98. Le Blanc, Michelle and Odell, Colin (2000). 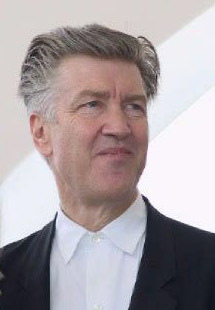 David Lynch. Harpenden, Hertfordshire։ Pocket Essentials. ISBN 1-903047-06-4. Lynch, David and Rodley, Chris (2005). Lynch on Lynch (revised edition). New York։ Faber and Faber. ISBN 978-0-571-22018-2. Дэвид Линч Поймать большую рыбу։ медитация, осознанность и творчество = Catching the Big Fish. — Москва։ ЭКСМО, 2009. — 208 с. — ISBN 978-5-699-32205-3.